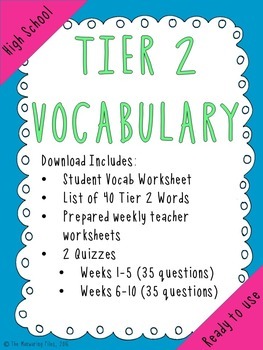 For teachers struggling to incorporate Tier 2/Higher Level Vocabulary into their high school curriculum. 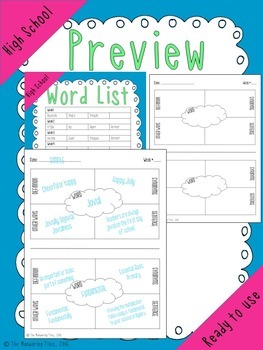 This resource is a ready to print & use, 10 week vocab study. 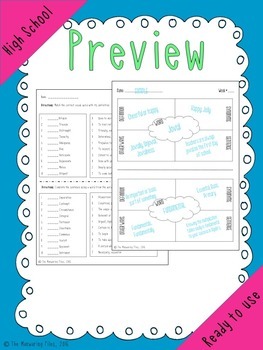 Teach your students 4 new cross-curricular words every week, and challenge them to weave them into their assignments, group discussion, and even their other classes. 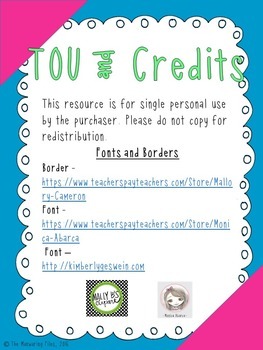 Tier 2 words are not course specific - true Tier 2 words can be used in any circumstance.